You may have noticed that we’ve made some changes to our issue periods and renewals. 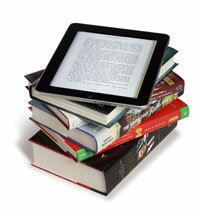 Happily for our eLibrary users, eBook and eAudio loan periods have been boosted to match books in print. All titles in our OverDrive and Bolinda collections can now be issued for 3 weeks! All of them are still absolutely free to borrow, with no overdue charges and free reserves. Keep up to date with our new eBook and eAudio arrivals through the News Blog staff picks archive.